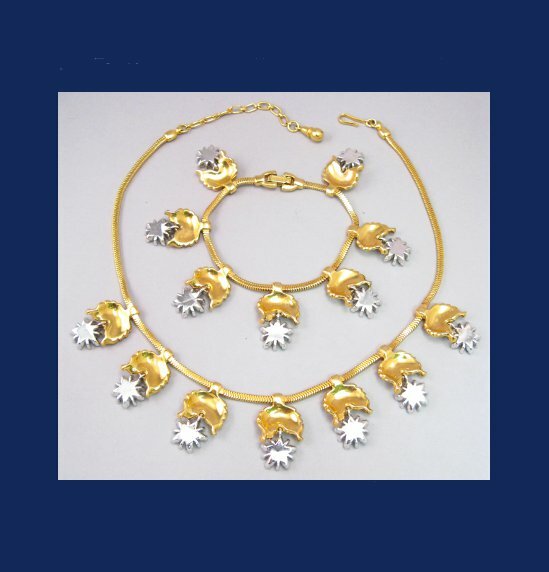 Pairs of golden leaves are suspended from a gas pipe chain on this glistening Pennino bracelet and earrings. Floral like clusters of rhinestone marquises are revealed below each leaf pair. Formed in 1926, Pennino was founded by three brothers and remained in business until 1966. 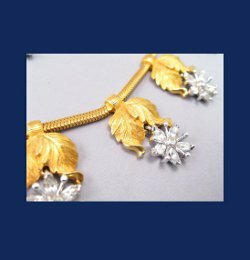 The brothers are known for producing "real" look jewelry of high quality. 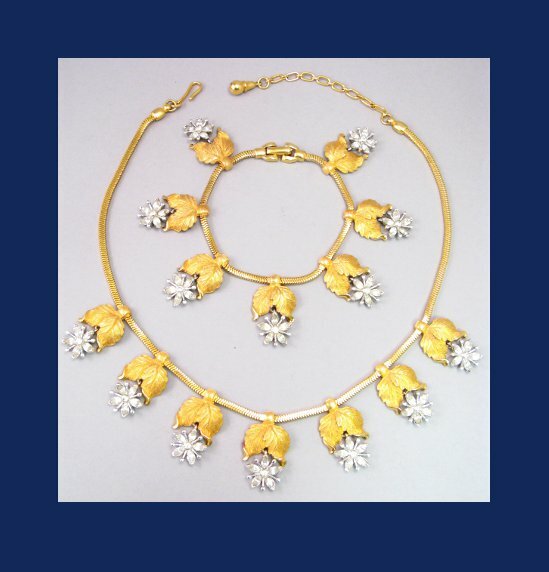 Necklace and bracelet signed Pennino, necklace measures 16" by 1", bracelet measures 7" by 1". Excellent condition.